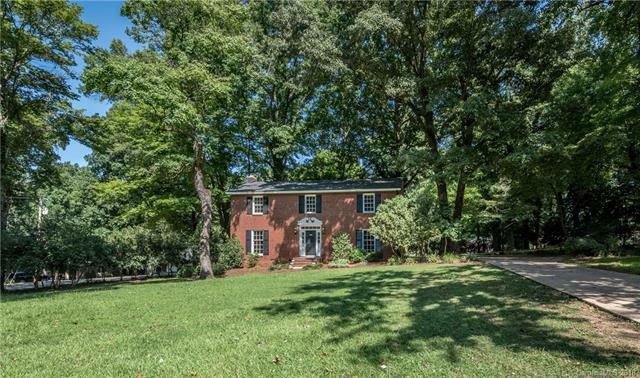 Welcome Home to this Updated Colonial Home located at 553 Scaleybark Rd in Rock hill SC. This 2 Story Full Brick Home shows off Newly Finished Gleaming Hardwoods throughout, Custom Moldings & Built-ins, Stately Brick Fireplaces, Shutters, & New French and Interior Doors. Other Upgrades include Master on Main, Brand New Huge Kitchen w/Granite, Top of the line Cabinetry w/New Appliances, and Deck for Outside Entertaining. Enjoy New Baths, Lighting, Painting, Gutters, Tile Flooring, & Brand New HVAC System. NO HOA!